Is it a play mat? Is it a car? It’s an Igolo Nest. The baby play mat has just been taken to a new level by Polish company Igolo. 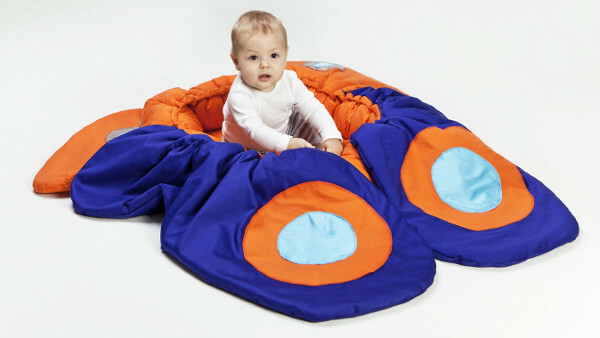 The Igolo Nest is a play mat with a difference. These play mats are big – over a metre and a half in diameter, so they provide your baby with a huge area for play. They’re cotton and brightly coloured, but where they really stand apart from the crowd is in their nifty construction. Each mat can both open out flat on the ground or, with the pull of a safely tucked away cord, convert quickly into a play structure of sorts. By far my favourite is the Cosy Car mat (above), but there is also a boat, a butterfly and a flower. The cleverly named Nest really is a safe little space for your own baby bird. 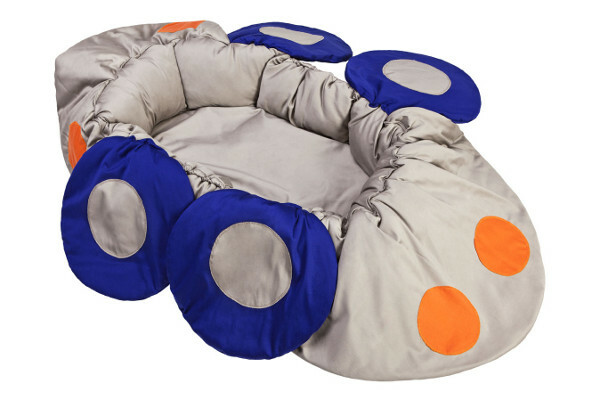 Children can cosy up inside and rest on the padded nest like a bed, as well as wrap themselves up in it like a blanket. The size of the mat and its interesting padded features, like petals, wheels and wings, provide opportunities for more varied play. Each mat costs 520 Polish zloties, which is roughly equivalent to $190. You can look at the range and find out more information at Igolo.